The Land Transportation Office (LTO) has announced that starting next month, it will extend the validity of the driver's license up to five (5) years to lessen the line queues during renewals. “By Sept. 19, those who will renew their licenses in the National Capital Region will have five-year validity,” Cherie Mercado, spokesperson of the Department of Transportation (DOT) said. 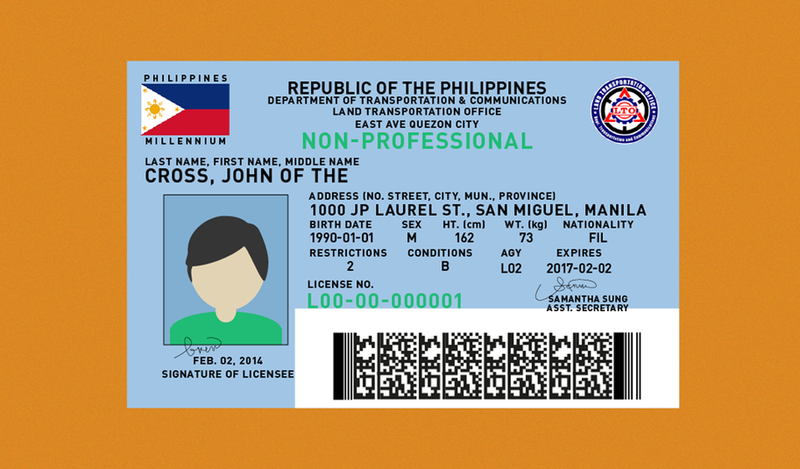 Currently, the driver's license are valid for only 3 years for professional and non-professional drivers. At last the LTO will start to implement a five-year validity period to these licenses in Metro Manila by next month. Other regions in the Philippines will follow by October. This move is to lessen the long line queues and ease the transaction inside the LTO offices and it will take a longer time to renew again as per LTO Chief Galvante as in compliance with Pres. Duterte's directive. LTO still has a problem in releasing the driver's license ID cards as the backlog reached about one (1) million as of July 15. Mercado said the said driver's licenses would be released 400,000 per month starting this November.